The Problem of Divine Hiddenness is an interesting twist on the classic problem of evil. I came across it a while ago, and it’s been on my mind recently, which of course means an excessively wordy philosophy comic for you all. Yay! For those of you who aren’t familiar with this argument, the Wikipedia article explains it pretty well. 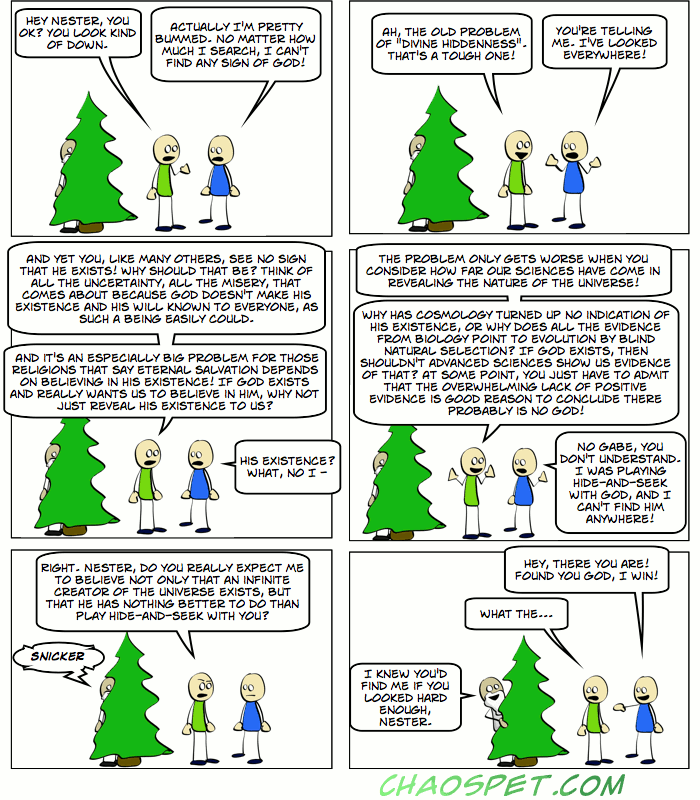 And on a related note (in particular to the content of the comic), Dan Fincke’s take on the unscientific nature of “theistic evolution” is very much worth reading. I wonder how many more times Gabe will have to be surprised by God standing behind him before he stops being an atheist?